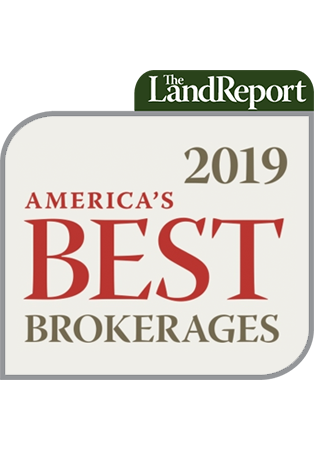 Since its inception, The Magazine of the American Landowner has provided unparalleled insight into national and regional land markets, taxation strategies, and specific land uses, including timberland, ranches, and recreational properties. Now, The Land Report has established a program to review resort communities, their amenities, and their bona fides. Those that pass this rigorous certification process proudly display the designation of a Land Report Certified Community. Retreat hail from across the Eastern Seaboard and the South. Set high in the Allegheny Mountains, West Virginia’s premier Land Report Certified Community overlooks the world famous Greenbrier Resort. Ask any single owner why The Retreat on White Rock Mountain is now their home away from home, and the answers are guaranteed to run the gamut: the quick convenient drive from Washington, Baltimore, and other major city centers, the long list of world-class amenities right next door at the renowned Greenbrier Resort, an endless number of outdoor activities, and, of course, the unbeatable buying opportunities created by the Great Recession. It’s hard to imagine a more sublime setting this close to so many urban centers. There is, however, one feature that everyone always mentions: the views. They are nothing short of spectacular. 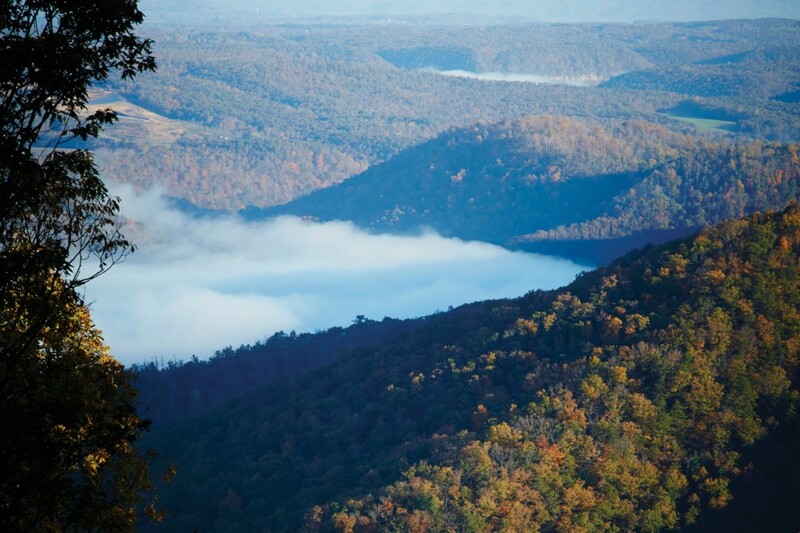 Perched atop a gorgeous ridge at the crest of the Allegheny Mountains, The Retreat looks down upon acre upon acre of lush forests including the beautiful Greenbrier Valley. Patten should know. Almost 50 years ago, his grandfather Harry Patten pioneered the resort community concept. More recently, his father, Mike Patten, has enjoyed a similar level of success in the same field [See The Land Report Summer 2009.] 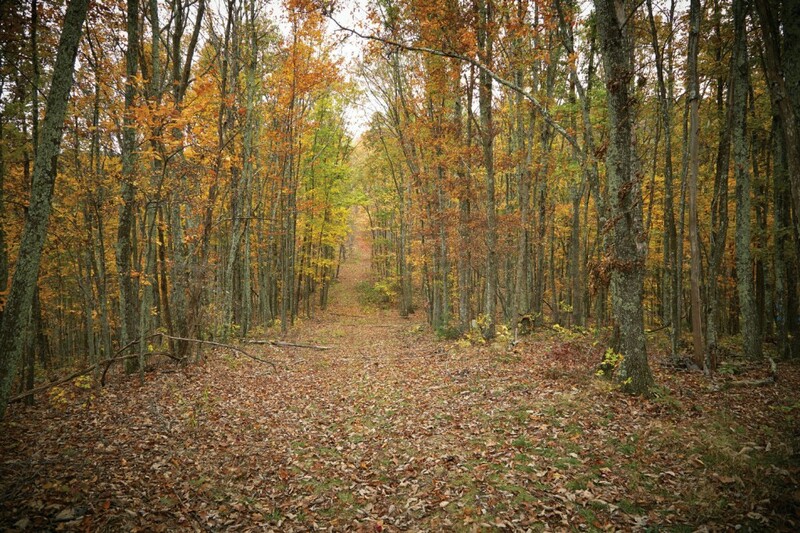 John himself has scouted numerous tracts of land in dozens of states, and he sold his first parcel of land up the road near Martinsburg, West Virginia. The four seasons come to life at The Retreat. So it came as no surprise that he found himself drawn to The Retreat. “It was a sad situation. The original developer died of cancer, and, once the Great Recession hit and the market crashed, his partners couldn’t hold onto the development. That’s when it went back to the bank. But the truth is they had actually picked one of the prettiest spots in the mountains. 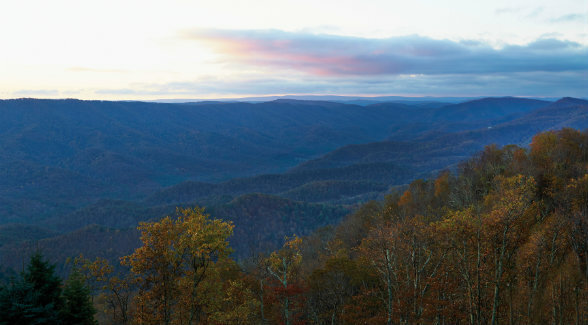 On top of that, it’s so close to so many great places: the Greenbrier Resort, all sorts of state parks and forestland, and a great place called Lewisburg, which was voted America’s Coolest Small Town by Frommer’s Budget Travel Magazine,” he says. Not surprisingly, The Retreat languished under bank ownership. Maintenance was deferred. Promises weren’t kept. Existing owners grew more and more worried. The Pattens put an end to that in short order. minutes away at The Greenbrier Resort. Since acquiring The Retreat last fall, The Patten Companies and longtime partners Will and Mark Adkins at The Waterfront Group have dusted off the cobwebs by investing hundreds of thousands of dollars on much needed repairs to infrastructure and improvements. Many of these needed expenditures targeted hidden costs: upgrading the water system, clearing downed trees, opening up viewscapes where brush was overgrown. But there was one priority on everyone’s list: the Allegheny Lodge. Crafted of quarried rock and massive timbers, the multi-million-dollar structure has been a favorite gathering spot for owners since day one. “Our top priority was to get the Allegheny Lodge back up to snuff. It was a head-to-toe project,” says Will Adkins. “Everything from basic maintenance to major repairs, things like power-washing the decks, fixing the caulking, redoing the parking lot, and updating the infinity pool to make it more accessible for young mothers and other visitors. We had the guys put a 10-year stain on the logs. Then we bought new furniture, installed a big-screen TV, and finished it off with a new decor that has a Ralph Lauren rustic vibe,” he says. Miles of trails and paths crisscross The Retreat. Not surprisingly, this sort of TLC has been greeted with open arms, by the existing owners and by a flurry of new buyers. In 2005, Jim Purdon became one of the first to build a home at The Retreat. He and his family regularly take advantage of the Allegheny Lodge’s amenities —the infinity pool and the Jacuzzi, the spacious kitchen and patio —but a lot of times they show up simply to soak up the vistas. At the end of the day, that sort of solace brings the Purdons back to The Retreat from their D.C.-area home again and again. “Our original goal when we looked at The Retreat was to find peace and quiet and be comfortable. We sure found that,” Jim says. The family’s other home sits right in the flight path for Dulles International Airport. Their checklist included low-key luxury and a lot of peace and quiet. The Retreat offers all that … and more. “We feel safe on the mountain, and there are enough people floating around that it feels cozy. My wife loves to say that when we get on the road to drive to The Retreat, her blood pressure goes down by at least 20 points,” Jim says. As if the sweeping vistas of the many mountains and valleys aren’t enough, one of the popular activities at The Retreat is making tracks for The Greenbrier, a luxury resort that has been welcoming guests in high style since 1778. 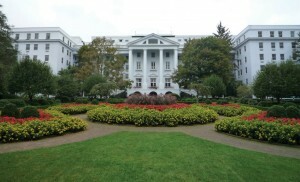 All told, The Greenbrier encompasses more than 10,000 acres of activities and amenities including four different golf courses, a championship tennis center with indoor and outdoor courts, a huge gaming and entertainment venue, and a variety of world-class restaurants. Now anyone, including residents of The Retreat, can pay for a $1,000-a-year social membership and get access to the shops and restaurants, including unlimited access to the award-winning Casino Club. The Greenbrier’s social membership also gets you deep discounts on amenities, including half off the green fees for all three of resort’s courses and a free daily fishing permit in Howard’s Creek Trout Reserve, an on-site catch and release stream. Another key driver is location. 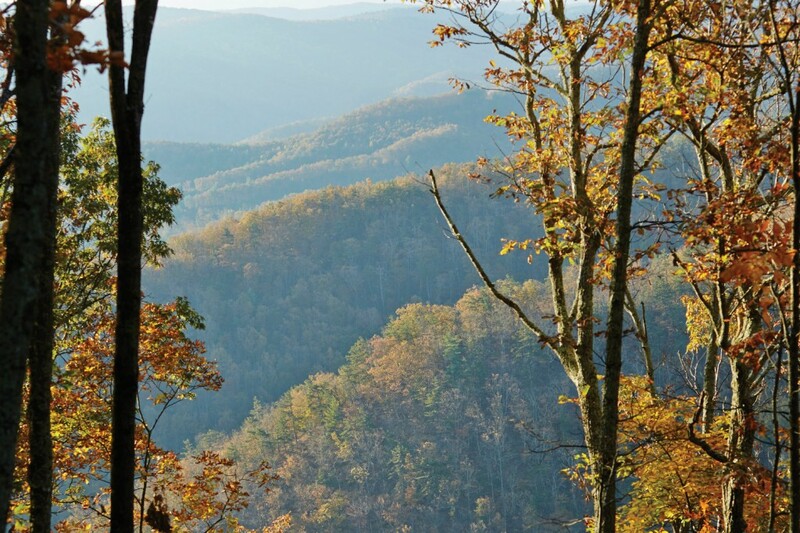 Owners at The Retreat are literally minutes away from mile after mile of improved hiking and biking trails in fabulous state parks and woody forests. 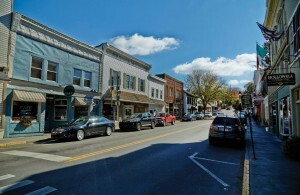 Quaint towns are sprinkled throughout the Greenbrier Valley, including Lewisburg, which has a well-known literary festival in the summer. The town is full of boutiques and B&B-style inns. 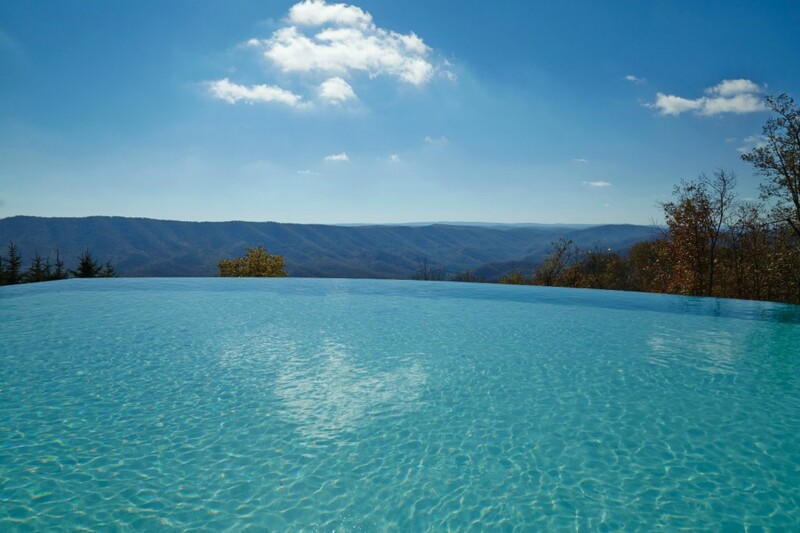 The infinity edge pool is just one of the many amenities at the Lodge, which recently enjoyed a complete renovation. “Are the amenities and the infrastructure completed or is the development half-baked? What about the homeowner’s association? Is it up and going, or does it exist in name only? And then of course there’s the developer. Do they have an established track record or are you dealing with some bottom feeder that bought a note and is trying to offload as many lots as quickly as they can?” he asks. Click here to download a PDF of this Land Report Certified Community.